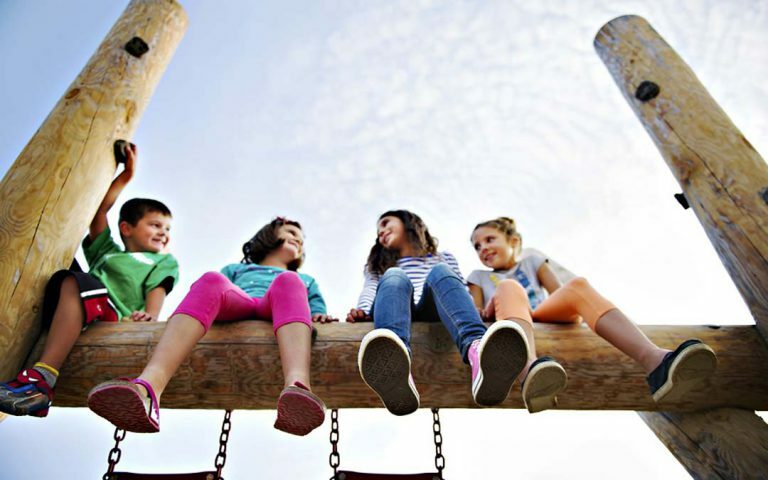 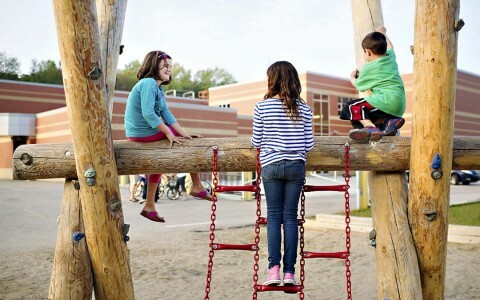 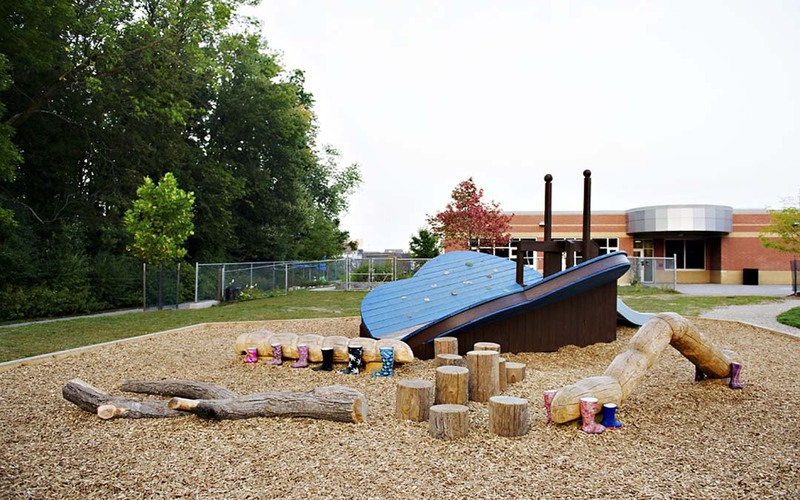 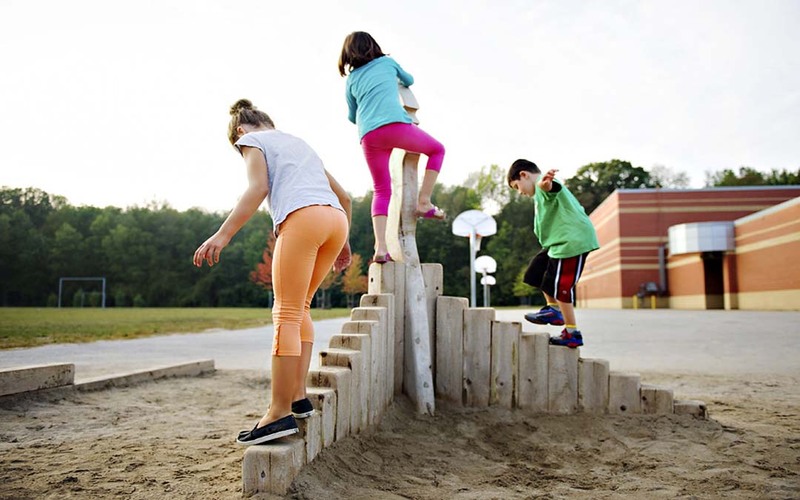 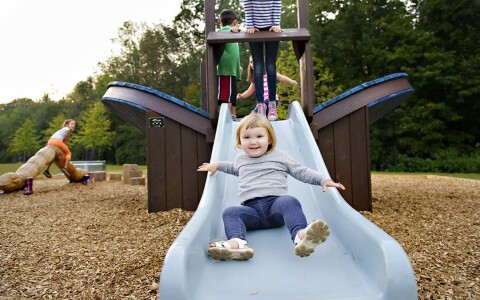 Completed in two phases, this natural playground equipment was designed to include an area for Kindergarten students and three areas for older students. Playing off the school’s Mariner’s theme, the first phase included a custom-built climbable structure resembling a sunken Viking ship. The climber offers older children an opportunity to exercise their imaginations as well as their bodies. 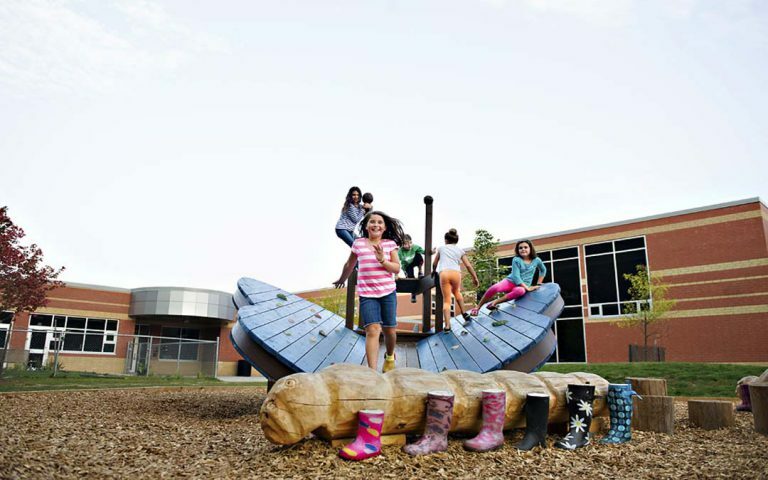 Planter gardens and a stage are constructed in the shape of a compass rose pointing to cardinal directions to create an outdoor classroom. In the Kindergarten/Primary area, a magnificent butterfly climber with slide, log caterpillar and inchworm wearing colourful rubber boots alludes to the process of metamorphosis. 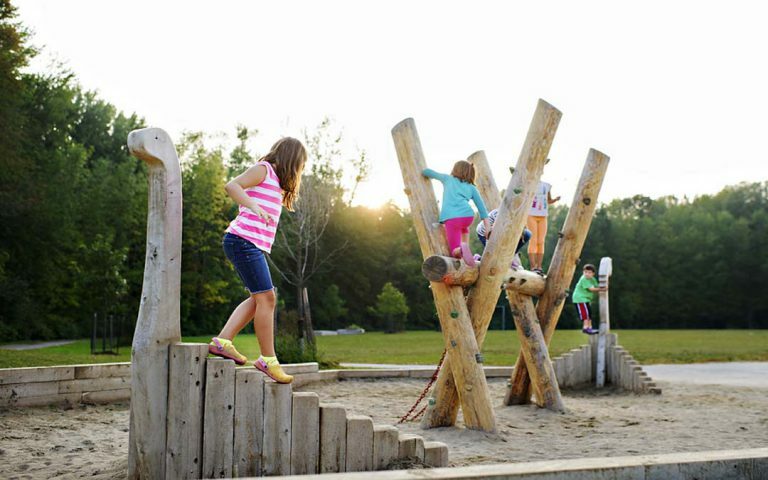 The story tree hill with armour stone rock seating gives an elevation change while providing a space for passive play. 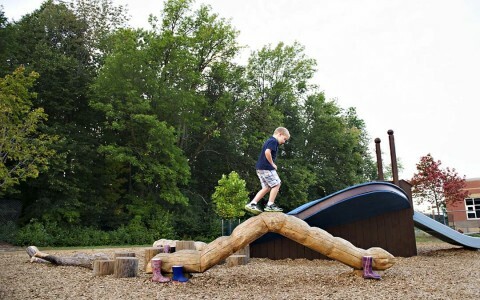 The hill and play area also solved a major drainage problem. 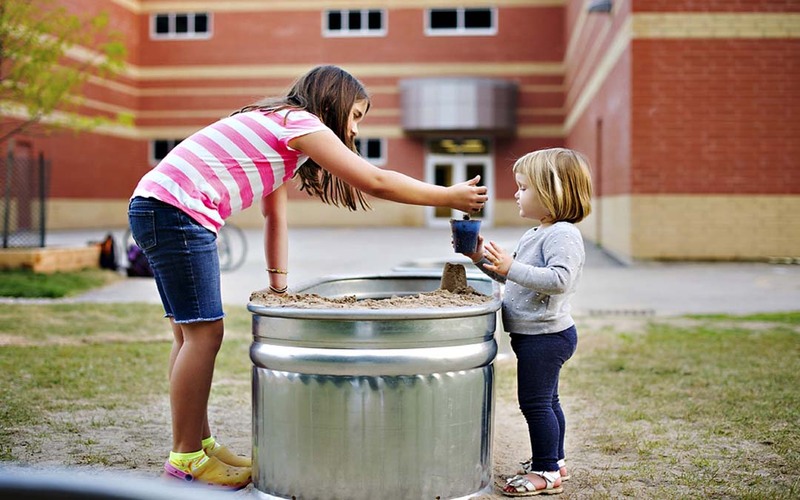 Horse trough sandboxes were used to define the physical boundary of the Kindergarten play zone.